Waiting on Wednesday is a weekly meme hosted by Jill at Breaking The Spine. It showcases each blogger's most anticipated books. 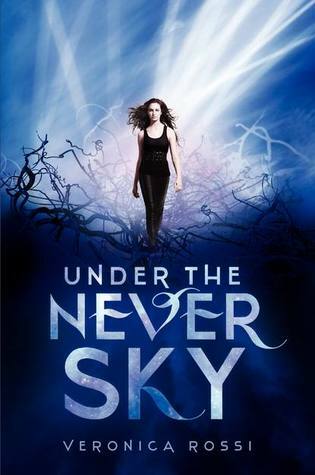 This week, my pick is Under The Never Sky by Veronica Rossi. Summary: "Exiled from her home, the enclosed city of Reverie, Aria knows her chances of surviving in the outer wasteland—nicknamed The Death Shop—are slim. If the cannibals don’t get her, the violent, electrified energy storms eventually will. In this dystopia, even the very air she breathes could kill her. Then Aria meets an Outsider named Perry. He’s wild, dangerous—a savage. He’s also her only hope. 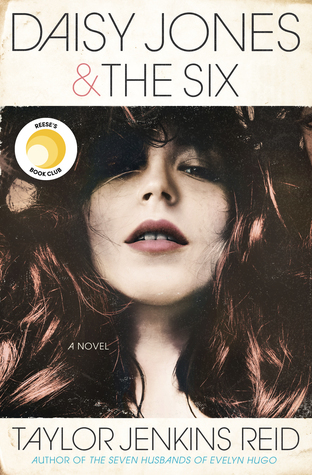 Debut author Veronica Rossi is accumulating fans from all over the globe—the book has already sold to more than twenty countries. It’s not surprising that foreign rights for this title have been flying off the shelf. It’s a tantalizing romance in any language." Why I Can't Wait:I am a huge fan of dystopia. It's quickly becoming one of my favorite genres, so when I first saw Under The Never Sky on Goodreads, I immediately added it to my To Be Read list. Then I saw the release date. Wow, that's a long ways away. But the summary sounds amazing, and the cover is simple yet gorgeous. Why can't this come out sooner? I am loving dystopian novels right now too and this one sounds awesome! Thanks for bringing it to my attention! I feel like no one can really dislike dystopian novels right now as there are so many options--something for everyone! I, too, am VERY excited about Under the Never Sky. Sounds Fabulous! Seems like 2012 is full of awesome...can't wait! I'm a dystopian fan too! Sounds exciting and the cover is striking! I'm SOOO excited for this one!! I'm dying to read this! It looks fantastic! Wow loving this cover. Greak pick. This one sounds good, this is the first time I have heard about it. I am adding it to my to-be-read pile. Thanks! I've seen this a couple times before and even though it says its a Dystopian it doesn't sound like one. It makes me think of the world maybe five thousand years are more after it has ended where a new world has been created and the old one completely forgotten? I don't know if you've seen The Time Machine but the protagonist accidentally goes probably millions of years in the future after the world was destroyed and recreated and there are completely new civilizations? Something like that is what this setting reminds me of. My WoW is something different.